Flair is the go to destination for wedding dresses in Boston. 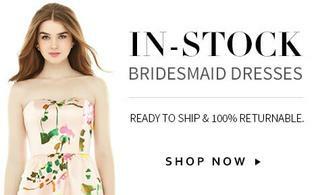 We carry a curated selection of bridal gowns, bridesmaid dresses, and accessories that appeal to the “Boston Bride” and her bridal party. Flair stands apart by identifying a niche often overlooked: the bridesmaids. Frustrated with the lack of variety and style of bridesmaid dress selections, brides are responding to Flair’s collection of modern, sophisticated, and original dresses from couture designers Jenny Yoo, Theia, and the Dessy Collection, including Alfred Sung, After Six, Social Bridesmaids, and Lela Rose. Dessy Collection dresses can be purchased directly through our website. Flair has carefully built our bridal collection keeping in mind the firm belief that every bride deserves an upscale, personalized shopping experience and a high quality gown, no matter her budget. Flair brides can expect to shop for gorgeous, couture gowns in a comfortable environment, with a dedicated consultant helping every step of the way. We are proud to carry the Amy Kuschel, Hayley Paige, Blush by Hayley Paige, Tara Keely, Jenny Yoo, Theia and Nicole Miller bridal lines, all for $4,000 or less. Flair provides every customer with a unique and positive shopping experience by offering an intimate and upscale environment to view wedding dresses in modern silhouettes, luscious fabrics and trend-setting colors. With an emphasis on individualized attention, Flair staff avoids high-pressure sales techniques, instead relying on the quality of the line and the specific needs of the bride and her maids to guide the relationship. Flair is by appointment only. Click here to request an appointment. Known for attention to detail, Flair also offers accessories – jewelry, sashes, bridal belts, shoes, and veils – from different designers, to compliment any bride’s vision of her special day. We carry many accessories in our store and welcome accessories appointments. We also carry veils, headpieces, jewelry, men’s accessories, stationery, bridal party gifts and more. From the initial appointment to the delivery of the dresses, Flair bridesmaids are treated with respect, courtesy and unparalleled customer service. Shopping at Flair is an experience every bridal party should have.